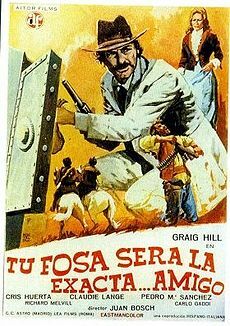 Another western comedy made in the wake of the Trinity films successes in the late days of the spaghetti western. Three men, Doctor Janus Saxon(Craig Hill), safe cracker Donovan(Carlos Otero), and a Mexican bandit named Carrasco (Chris Huerta) rob a bank. But Carrasco double crosses him with his brother Dog (Richard Melvill) and their gang waiting topside as they emerge from the bank. Saxon is somewhat of a philosopher and writes it off. He believes his day will come when the shoe is on the other foot. Donovan is more dramatic and attempts to hang himself, failing at that as the limb breaks. Saxon is mainly a conman who fleeces folks at the pool table with a trick cue ball. They never really explain how it works though. Our hero’s chance comes when Carrasco’s brother, nursing a hangover, doesn’t flee with his brother and the gang when the law is closing in. Now he is scheduled for a trial and a quick hanging. Carrasco wants to rescue him. Stupid as his brother is, he’s still blood. Dog is pretending an ailment for an attempt at escape and the sheriff. 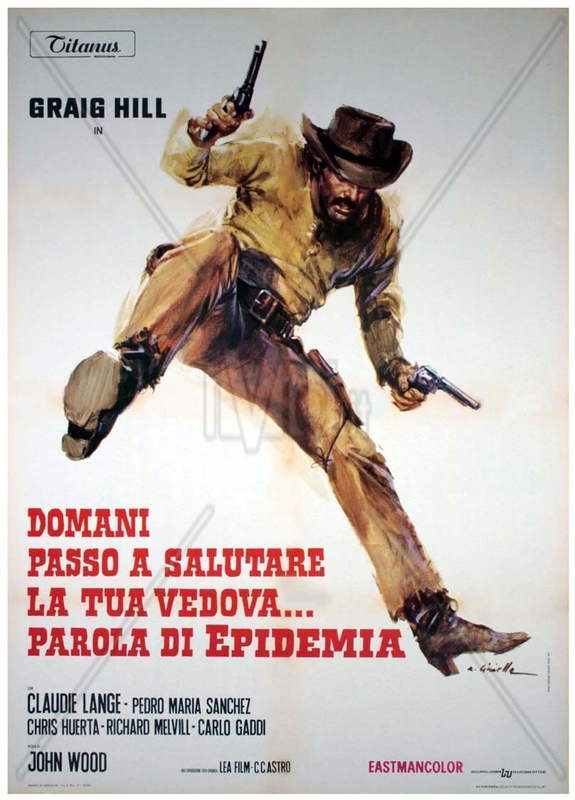 Appleton(spaghetti vet Luis Induni) is looking for a doctor, the town medico is passed out drunk, when someone mentions a new doctor in town that is winning at the pool table in the saloon. Saxon claims appendicitus and plans to operate> In privacy of course where he more or less tortures the location of the gold from Dog. 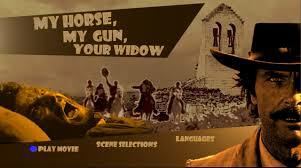 A trip to retrieve it brings a meeting with a young man who says his name is Louis Donovan(Pedro Mari Sánchez), the son of his old partner who was killed in a shootout with the law. The site proves false and sets off a chase for Dog, being moved to Louisville for trail and hanging. That’s when Deborah Page(Claudie Lange) enters the picture, a beautiful young woman just as greedy as the men. She knows how to use her feminine wiles to get next to any man: first Carraso, then Saxon, then a banker late in the film. We get double cross piled on double cross as the film progresses. Not a bad film, but some strange stuff goes on. They never explain why Saxon steals a bicycle from a wandering painter, abandoning his horse to do so. Made no sense to me. And the time was during the Civil War. The bicycle in the film had a too modern look for the time period of the movie. And most gun handlers used a Colt Peacemaker, not introduced until years after the war. At the end, the three men are arrested by Confederate soldiers, we’re treated to a montage of war photographs before Saxon, Donovan, and Carrasco appear at a bank in Confederate garb to take possession of the bank’s money(gold, paper, and silver) ostensibly to move it to another bank before it’s lost to the North amid the ongoing battle. No explanantion for how they go from being arrested to having Confederate uniforms and replacing the unit sent to move the bank funds. One review site hinted they’s been in jail for several years, but it doesn’t work for me. Not enough years for the war to make that happen. The world was changing for P.I. Ed Noon. The Mouse Auditorium was a thing of the past, Noon having moved to more uptown digs. His secretary had run off, gotten married, an Noon had hired a young black woman, Melissa Mercer, to replace her. Now he just needed a case to keep the new prosperity going. Then Captain Mike Monks, the sole cop he could call friend, shows up at his door. 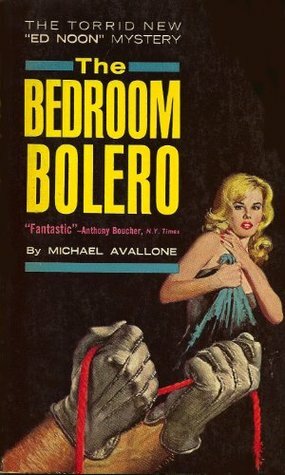 He wanted to know what Noon knew about a piece of music called “Bolero.” A stiff had been found in a bedroom with four red painted walls, no furniture other than a record player with that record playing over and over. The rest of the day was a bust, only one woman who wanted her estranged husband beat up and then insulted his new secretary, and Monks called at the end of the day. Two more corpses, all three with the same things in common: all with a heart condition(and treated at the same hospital), naked and strangled in a furniture less room but for a record player with the same recording of Ravel’s Bolero. posed amid walls of red paint(Bolero Red as it turns out), all three with double initial names(D E & A). Then the performance artist with the name Evelyn Eleven wants to hire him to beat up a man who threatened to kill her. Her act was accompanied by the Bolero song and her supposed future killer was named Thaddeus Orelob. It all leads to a strange case for our favorite private eye. The Ed Noon series is being released to ebook. If you want some great reads, pick up a few. Is This The Coming Thing? 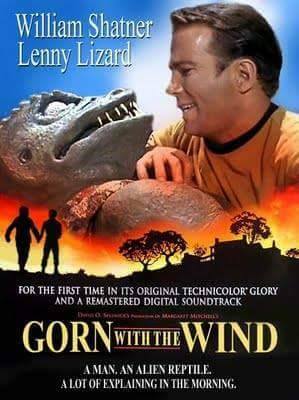 I’ve always been a fan of those fifties monster/sf movies. It began I think when the family got a TV in the late fifties and a lot of the fare was those cheaply made films. There was seemingly one of those late weekend shows on every one of the few stations at the time that specialized in these “horror” spectaculars. 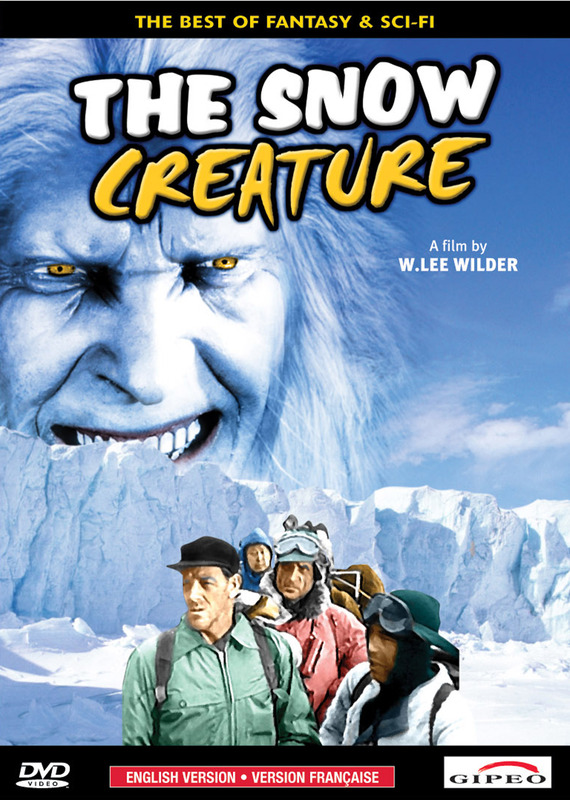 THE SNOW CREATURE was one that I missed. An expedition into the Himalayas to seek out new flora unknown to us folks in the “civilized” regions. Financed by the Corey Foundation, botanist Dr. Frank Parrish(Paul Langton), the only other white man along was hard-bitten photographer Peter Wells(Leslie Denison). The rest of the team was comprised of native Sherpas led by guide Subra(Teru Shimada). The expedition is seen off by Subra’s young wife and brother Leva(Rollin Moriyama). the mission has hardly begun when a manlike creature kidnaps Subra’s young wife and disappears back into the mountains. Keva and four Sherpas follow the mission to alert Subra who appeals to Parrish and Wells to help rescue his wife. 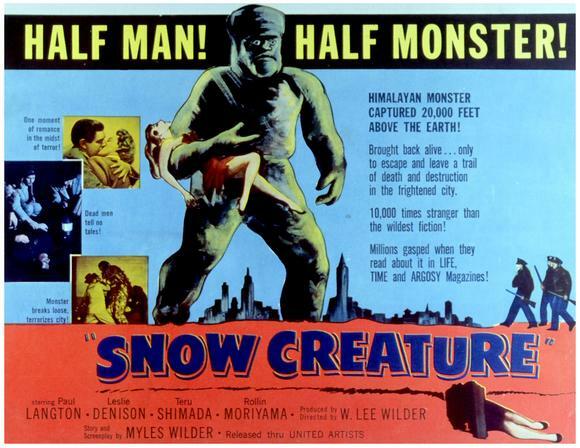 Parrish scoffs at the notion of an Abominable smowman and refuses to risk his mission. Late at night, Sybra steals all the ammunition, including unloading all their rifles, and forces them to aid in a rescue mission. Parrish starts to slowly believe when a set of big foot prints(you got me. I said it) pass through the camp one night and a native is killed the next night. A cave is found and Subra’s wife’s necklace lies just inside. They explore the cave system and come upon a Yeti family. The big male is enraged and tries to yank a big rock out of the wall to toss at them, causing a cave-in that kils the female and young Yeti, though only stunning the male. In the confusion, Parrish and Wells regain control by seizing the rifles. The plan now is to take the Yeti back to civilzation and make a fortune, though Wells is reticent to do so, preferring to take photographs and write a story only. 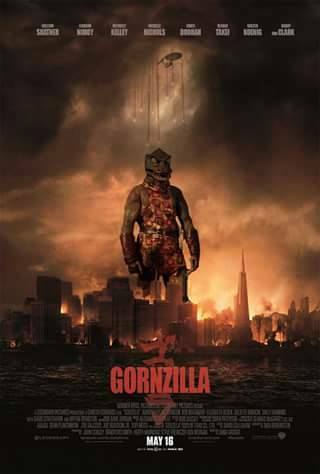 The rest of the plot is standard fare, the creature escaping in Los Angeles, terrorizing the city, and being hunted down by the authorities. I know it was the fifties, but the natives were really treated as second class. As soon as they had a stunned Yeti on their hands, all thought of rescuing Subra’s wife were forgotten. They drugged(no reason given why a botanical expedition hunting plants would have strong sedatives) and tied the creature up and forced the Sherpas to lug it back down the mountain. The Sherpas were on the verge of being arrested for kidnapping Parrish and Wells with the co-operation of the two white men until Subra made an impassioned appeal and they drop the idea. The Yeti was big and ferocious looking if one overlooked the cheap costume(you could see folds n the fabric as it walked). But it never challenged a male unless cornered, even ones half it’s size. Didn’t mind jumping females thpugh. Killed one and chased another. 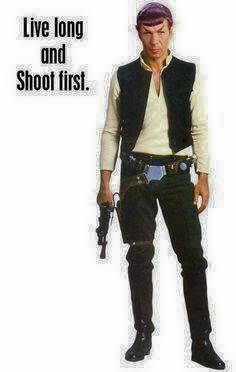 But all off screen. We heard a couple of screams, but no actual footage. 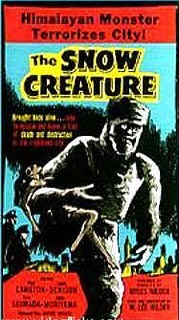 Most of the scenes involved the creature simply showed it walking around arms hanging by it’s side. 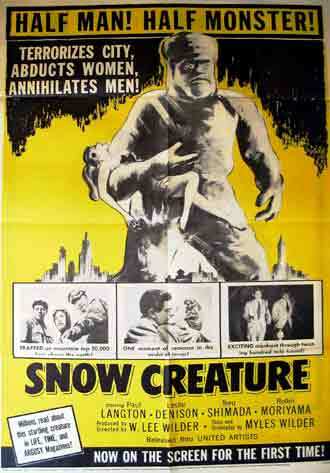 Lock Martin supposedly wore the Yeti suit, though he was uncredited and unconfirmed as the monster. Not a great picture, but my unsophisticated young person back in those days would have thought it terrific. 1; Woman In The Dark – Dashiell Hammett: A young, frightened, foreign woman appears at the door of an isolated house. The man and woman inside take her in. Other strangers appear in pursuit of the girl. Menace is in the air. 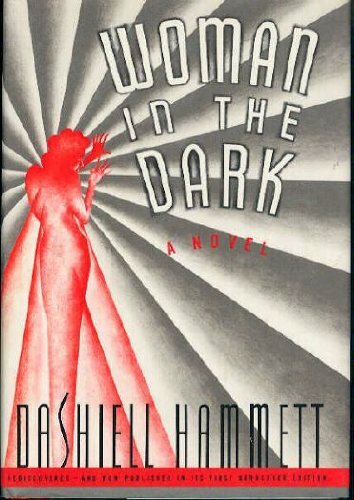 Originally published in 1933, Hammett’s Woman in the Dark shows the author at the peak of his narrative powers. With an introduction by Robert B. Parker, the author of the celebrated Spenser novels. 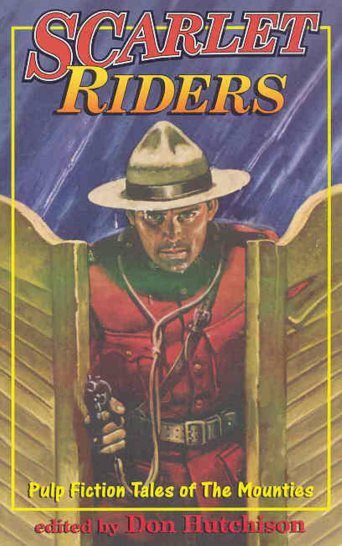 2: Scarlet Riders – Don Hutchinson: Richard posted on this collection recently and piqued my interest. 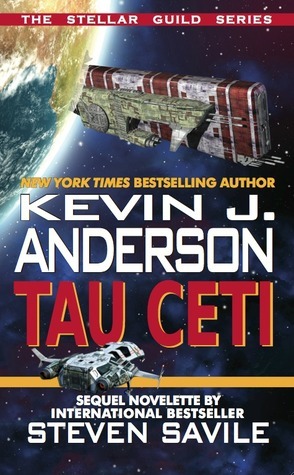 3: Tau Ceti – Kevin J. Anderson & Steven Saville: I recently posted on RED TIDE, the most recent book in the STELLAR GUILD SERIES. This book was the first. I hope to get all of them before I’m through. 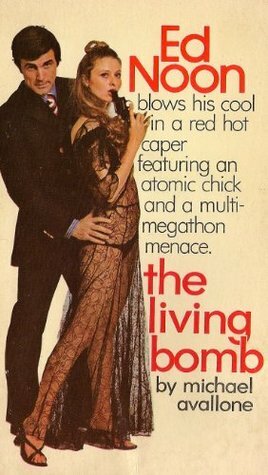 5: The Living Bomb – Michael Avallone: two entries in Avallone’s Ed Noon P.I. series now being released to ebooks. 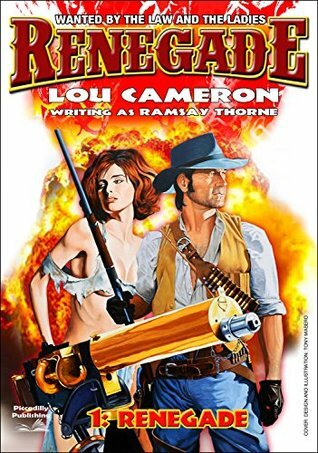 6: Renegade – Lou Cameron: first in the author’s adult western series(originally published under the name Ramsay Thorne. If I like this one, got a lot of catching up to do(36 titles), though only three have made it to ebook so far. Charles Gramlich turned me on to these.